The Admissions Committee will look at your test score, in conjunction with your transcripts from your undergraduate and/or graduate work, to evaluate your ability to handle the rigor of our program. In addition, your career and leadership experience adds great value to your application. At Texas McCombs, we’re looking for future leaders who want to make a difference in their industries and in the world, and a strong resume and letter of recommendation help us identify you as one of these people. 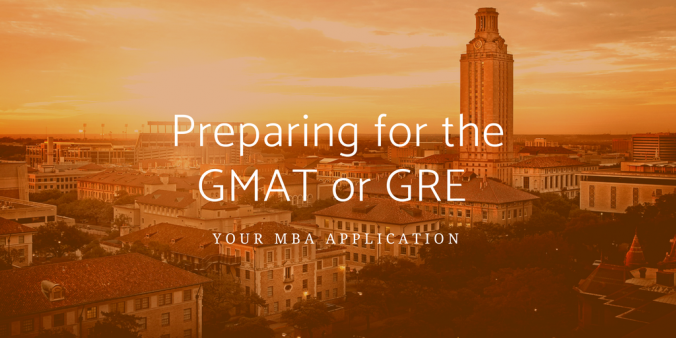 Finally, your motivation for an MBA, with a clear sense of what you want to gain from it, and a thorough understanding of the Texas McCombs program and culture must come out in your essays and interview. Set a target test date and stick to it. Structure your prep around your perceived weaknesses. Regardless of which test you take, consider it part of the overall MBA investment. Challenging yourself in the testing environment will make you better prepared for what comes along the way during and after the program. Good luck and we look forward to your application! Am looking forward to joining this great institution! !